"... one cannot deny either the brilliance or imagination of his playing, or the consistency of his approach ..."
"... thoroughly refreshing and convincing ... these are invigorating performances, with no small degree of poise in Mustonen's pianism and in his handling of the orchestra." 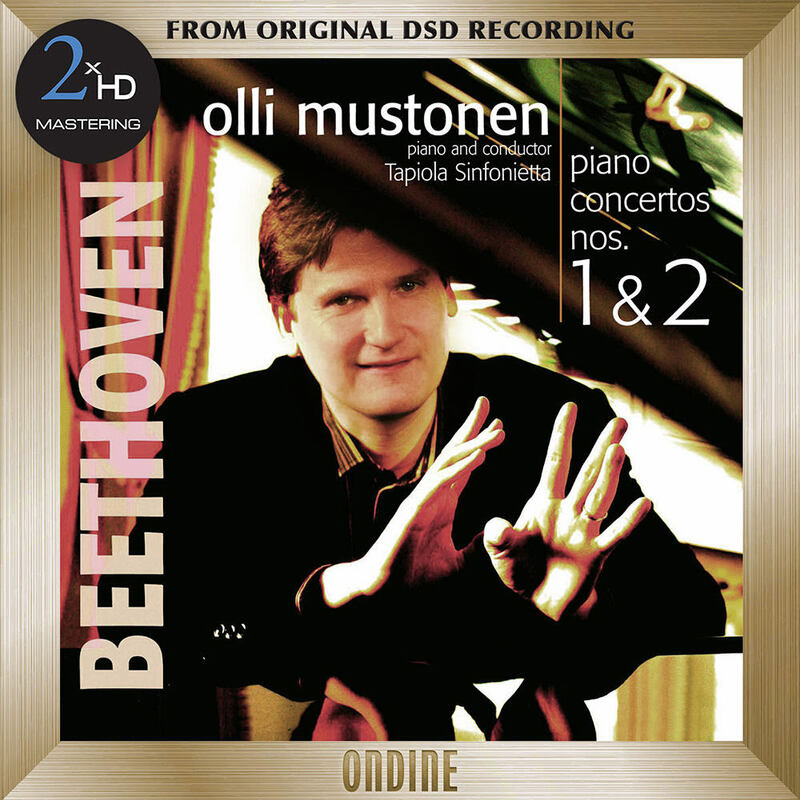 This is the first of three volumes featuring Beethoven's five piano concertos performed by Olli Mustonen, acting here as both soloist and conductor of the Tapiola Sinfonietta. The Finnish musician is known for delivering fresh, visionary readings of popular standard repertoire music, such as Beethoven's concertos which he had never recorded before. Mustonen has maintained a close relationship with chamber orchestra Tapiola Sinfonietta, accompanying this ambitious recording project with acclaimed tour performances. Also a published composer, Mustonen is playing his own cadenzas in the First Concerto. This album was mastered using our 2xHD proprietary system. In order to achieve the most accurate reproduction of the original recording we tailor our process specifically for each project, using a selection from our pool of state-of-the-art audiophile components and connectors. The process begins with a transfer to analog from the original DSD master, using cutting edge D/A converters. The analog signal is then sent through a hi-end tube pre-amplifier before being recorded directly in DXD using the dCS905 A/D and the dCS Vivaldi Clock. All connections used in the process are made of OCC silver cable. DSD and PCM versions are separately generated, directly from the analog signal.